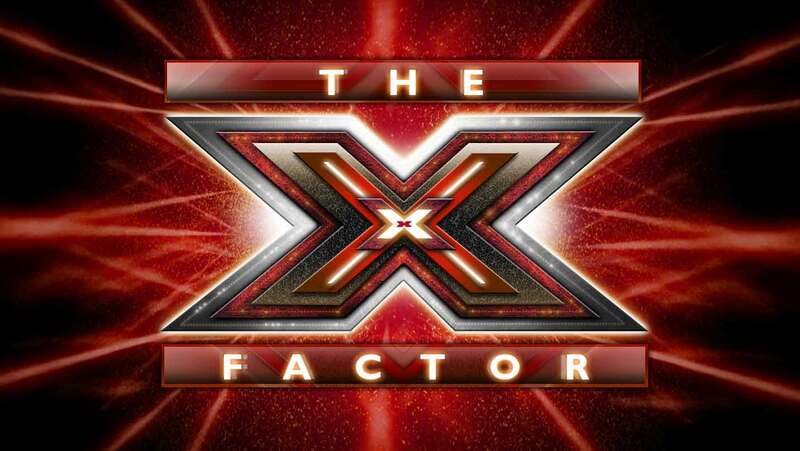 There is this show on Fox called the X-Factor in case you haven’t heard. I actually don’t believe that a show has been more hyperbolically hyped than the X-Factor in the history of American television. It is the most over-the-top reality singing competition I have ever seen. Basically, the show is hybrid American Idol (for those most familiar with Simon Cowell‘s first US project) and The Voice (another US show that was probably based on the UK version of the X-Factor). The show, which unlike American Idol has much looser age restrictions (12-), features four judges who mentor four different teams of performers (girls, boys, over 30s, and groups). If you haven’t been watching, the show is now up to the Top 12, and American now gets their hands on the performers and chooses who moves on and who is ousted from the seizure-inducing lights, oversized video screens, and odd camera angles of the live show. Remaining in the conversation are 3 members of each group, and, honestly, they are all pretty talented. I, because I am apparently a huge sucker for reality singing competitions, have been an avid watcher of the show, and feel that this is a good opportunity to give my predictions for the rest of the way. What are my qualifications? I have watched every singing competition show since American Idol premiered and have a pretty solid track record of picking winners. Below, I am going to choose who I believe will be the top performer to remain in each group. Now, since it is America’s turn to decide, no grouping is safe, and acts can go home despite their affiliation. What I’m saying is that the next three weeks could possibly see all three groups getting out. Will that happen? Probably not. But it is now possible. After I choose my “best of the grouping,” I am going to pick my expected winner of the show. I’m torn between a few performers and I think the judges/producers of the X-Factor have done an excellent job of making this difficult on voters. It’s going to be fun. Shall we begin? 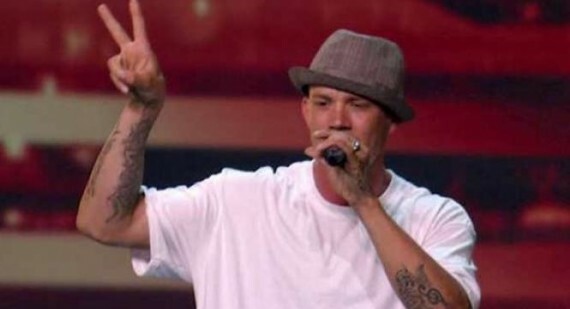 Chris Rene has the most inspirational story of the competition. A recovering drug addict with a son generally takes the cake. He also has something exceptionally important for the show. Unadulterated talent. Rene is a double threat. He won over the judges with a performance of a self-made rap/hip-hop song (which I will post below). But the man can also sing. His voice is smooth and delicate. His range is not fantastic (I think he is still maturing as a singer), but it is absolutely good enough to propel him to the end of the competition. Rene also carries himself with (as I labeled yesterday when watching a recording of the show with my family) a humble swagger. He just seems that he must have confidence in himself. The way he moves and performs would suggest it. But his sincere respect and emotion certainly portray him as humbled by the competition. This is the direct opposite of one of his direct competitors, Astro, a teenage rapper, who is simply not young enough to understand what humble even means. His cockiness is funny and I can’t hold it against him. He wants to be a rapper. A rapper needs to be overly confident. It helps him, but also hurts him. I just don’t see it going over well with the American public (despite L.A. Reid‘s clear hopes of making him his next Justin Bieber – Reid, one of the judges, signed Bieber). His other competition is Marcus Canty. Canty is interesting. He may have the best voice in the competition. Seriously, he sounds like a young Stevie Wonder. He is an excellent performer and can seriously be an Usher-type musician. He is just a bit forgettable and doesn’t have Rene’s story. That’s why my pick is Chris Rene. Drew has an eclectic, original and fantastic voice. It is effortless and ethereal (as judge Nicole Scherzinger described it). It’s not quite pop and not quite country, but a hint of a southern twang layers her clean chops. Drew (her last name is Ryniewicz so someone decided that they should just call her Drew – adding her to the endless list of artists who have changed, or eliminated their last names – see Gene Simmons or Bob Dylan, or should I say Chaim Weitz Hebrew and Robert Zimmerman) is an incredible talent and an early, understandable favorite. I am picking her because I just think she has the most subtle, incredible voice on the show. I mean, come on, she is 14 years old. Quite impressive. Simon Cowell (the girls group leader) picked the strongest combination of contestants. Going up against her is Melanie Amaro (originally eliminated by Simon, but then brought back after Simon admitted his “terrible mistake” – which was as clear of a publicity stunt as I’ve ever seen). Amaro is a concoction of Jennifer Hudson and Mariah Carey. Her voice and range are spectacular. She is stiff competition. Then there is 13-year-old Rachel Crow, whose bubbly personality will put her on Broadway after The X-Factor. Guaranteed. She is an actress, who happens to have a good voice. Amaro can gain popularity as a ballad singer and Crow is infectious and can be a serious teen-talent, invoking images of youthful female 60’s singers (as my dad aptly pointed out). Crow did do some Surpremes last episode. The category is difficult and I’m going with Drew because she brings something too original to the table to give up. Josh Krajcik, who has staked his claim on the show as burrito-maker turned Joe Cocker-esque crooner, will win the over 30’s category because he is the closest thing the show has to a rock singer. Seriously, think about it. He is the only one. Krajcik’s bluesy, soulful voice remarkable. His unkempt look only adds to his appeal. He is likeable and his voice is powerful at all ranges. The other two over-30 performers are Leroy Bell and Stacy Francis. I like Bell and Francis. Francis is an old-fashioned ballad singer with a voice tinged with exasperated passion (something that comes with years of trying and failing). Bell has a sweet, sultry, Motown-esque voice. Both artists should have been picked up years ago, but for one reason or another they were not. Bell and Francis will carry the older vote more so than Krajcik because they resemble the “dreams never die” message. I think Krajcik will carry some younger votes (and the rock crowd) and, because more young individuals watch this show and vote, he will be the last one standing in this group. Unsurprisingly, two of the remaining three groups were acts that the judges created from performers who did not make it to the judge’s home round. Yes, the judges made two groups, coached them, and sent them out to perform. Since the egos of the judges are, I don’t know, kind of big, their creations have gotten some favoritism. Judge Paula Abdul, to her credit, did a great job with the groups, and one out of the two judge-created groups deserves to be in. Stereo Hogzz was not a judge created group, but they will be the last one standing from the category. Why? 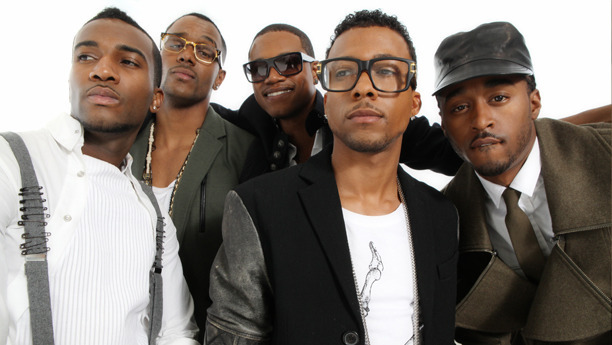 They are a reincarnation of the Boyz II Men R&B, hip-hop fusion boy bands that were popular in the 90s. There is a place for that in the market today. Stereo Hogzz’ most recent performance showed exactly what they are and can be. It was R&B mixed with a bass/techno breakdown. I think that they will succeed even if they do not win. They are competing against a InTENsity and Lakoda Rayne. InTENsity is a combination of a bunch of under 20s. Some are budding artists. Some are not. The sound is Glee-like, but even more corny and dull. They are cute, but, won’t remain long. Lakoda Rayne, on the other hand, can be supremely succesful. The equation is awfully simple. Four good-looking girls singing country music and harmonizing. Each has good enough lead potential with decent enough vocal distinction. This was a smart combination. I didn’t like them at first, but now I think that they can give the Hogzz and everyone else a run for their money. They may be slightly forgettable, but I actually believe that they can do well after the show. So here we go. Who will win? Most likely, it will not come down to such an even split. It could. But I seriously doubt that the top four has performers from each category. I am very tempted to say that the winner will be Drew, and I know many people feel this way. But I have a hunch. I believe the winner of the show will be Chris Rene. I think so because he has the full package. Likeability, good voice, good story, lasting power, solid look, marketability, and the important ability to both rap and sing. He takes home the prize. Drew comes in second or third. This prediction would not be full, though, without a dark horse. Looking over the remaining contestants, I am attempting to narrow down a top four. I think that the groups will be the first grouping to have no acts left. I’m going to give two dark horses. First, watch out for this Lakoda Rayne group. They are the only quasi-country group (unless you consider Drew country, which she is not, but she could pull off any song it seems). Remember last year’s American Idol. It came down to two country singers. Country is HUGE in the US. Lakoda Rayne can go to the end or they can be out in two performances. It can go either way. My second dark horse is Marcus Canty. If L.A. Reid does this correctly, he will turn Canty into Usher. At least he will try to do that. If he does, Canty can lose the forgettable label and become a favorite. Upbeat, modern song choices mixed with creative choreography and wardrobe will help with this. No matter what, this is going to be interesting. That is only my opinion and please don’t shell me if you don’t agree. I want to know what you all think? Comment below and let’s talk about it. Ok, I like YOU a lot! The Chris Rene of entertainment bloggers; a positive vibe and no hatin’ anywhere. Of course it didn’t hurt that I totally agree with you. But it all comes down to the demographic group that VOTES. I do watch all the “talent” shows but I’ve never been inspired to vote (except for Idol season six, and I’m still recovering from that one). At any rate I will vote for the artist (singer, song writer, producer, poet, musician, rapper, and the best smile) that moves me. However, I believe he will be signed no matter how the votes go. Love Life Baby. Thanks so much for the comment and compliment. I agree with you 100 percent. It does come down to the demographic. It is going to be quite interesting to see who voters go for. I can see it going a variety of ways. But, as you said, I will go for the musician that moves me the most and, yes, I do believe Rene and a few others will be signed despite their placement. I’m a bit late, but Lakoda Rayne should have made it further than they did- such a shame, they were my favorite and had a ton of potential. Marcus could have become the next Usher, but LA Reid has failed in that department, and he remains forgettable. Astro’s obnoxiousness has been far from cute at this point. Chris Rene hasn’t done well in the live shows and has only performed “Young Homie” well . . . twice. Melanie’s voice is amazing, as usual; Drew is good, but the same every week; and Rachel is spunky but not really pop star material. 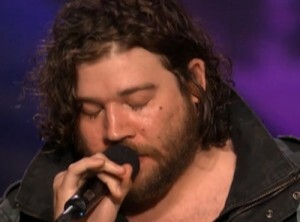 My pick to win at this point is Josh Krajcik, with Melanie as the runner-up. Apt comments. It has been interesting watching them perform since I wrote this post a while back. Some have truly disappointed. But, I think you are spot on with the Krajcik pick. He is the only one, in my opinion, who has been consistently good. Agreed. Drew has so much potential, but Simon just gives her the same dreary song every week. But then tonight they went and overdid it with the production so you couldn’t even hear Josh- hopefully he has earned enough fans thus far to keep him safe tomorrow! And Simon pays for his mistakes, I guess. I cannot say I was surprised that Paula and Nicole chose to keep Marcus. Now, personally, I like Marcus. He seems genuinely humbled and his voice is above average. Drew, though, had far more potential. Paula and Nicole have had a thing for Marcus since the beginning of the show so their allegiance to him (and their enjoyment in making Simon angry) propelled Marcus into the top 5 where he will almost definitely be the first one eliminated. As for Drew, I guess we will never know what truly happened. Did Simon try some up-speed songs and Drew couldn’t keep up? It’s possible. The way he reacted though, I’d presume no. When it came down to it, Drew’s twangy vocal was quite novel and intriguing during the first few performances, but when she continued with the same act every week, it became trite. I still stick by my initial prediction. I think Chris Rene takes the prize. What are your thoughts considering the now established top five? I wasn’t surprised either when Paula and Nicole voted to keep Marcus. I figured Nicole would do it just to spite Simon, and I felt it would come down to Paula, who I’d hoped would save Drew and send it to deadlock (I think Drew would have beaten Marcus in deadlock). I like Marcus personality-wise, and he’s as close to an entertainer as they come, but his pitch has been miserable, the most apparent example being the Thanksgiving performance for his mom. I would have voted to keep Drew. >Rachel is running on popularity fumes. This week was her worst performance by far and she wasn’t even remotely in danger. >While it’s great that Nicole and Paula support Marcus, he will be out as soon as the vote is left up to America entirely. Marcus could potentially beat Chris or Rachel in a sing-off for the bottom two, but he wouldn’t beat Josh or Melanie. If next week’s vote is entirely based on America’s poll numbers, I think Marcus is done for. >I can’t tell if Josh is popular or not. He has a good voice and has been solid this whole time (maybe not so much this week) but he’s kind of dry personality-wise and probably isn’t exactly America’s heartthrob. For the sake of music, though, he’s a top contender. >Melanie is the best singer on the show, and I’d be shocked if she isn’t around for at least a few more weeks. >The only song Chris has sung well is “Young Homie.” Everything else has been rather mediocre, in that he doesn’t sing as well as the other singers and he didn’t rap as well as Astro. In my opinion, as much as I hate rap, Astro was probably the best in the “Boys” category based on consistency. 5th Place: Marcus – He’s been in the bottom too many times, and while it’s great he is trying to be like Usher, there’s just something missing. 4th Place: Rachel – This is where things get hazy because we don’t know the relative popularity of the Top Four, but I think that Chris will get Astro’s and Marcus’ fans because he does the rap and R&B thing, whereas Rachel may not get Drew’s fans because they are so stylistically different even though both are so young. Plus, I think perky rambunctious little Rachel may annoy some viewers at this point. 3rd Place: Chris – There’s a chance this could be Josh, but I would hope that America would go for who has performed the best and not whose backstory (and one catchy original song) they prefer. 2nd Place: Josh – I had thought for awhile he would win, but I don’t know if he has been humanized as much as Melanie and the others in terms of becoming relatable. 1st Place: Melanie – When all is said and done, it really can’t be denied that Melanie absolutely has the best voice in the competition, and given how we’ve been conditioned to vote for the best vocalist from shows like American Idol, I think she’ll pull off the victory. The buzz was about the girls from the start, so I think it’s only right a girl wins this season under Simon Cowell’s mentoring. Nicole Scherzinger has been terrible as a mentor (Josh’s best decisions were his own), so I’d hate to see her get the win. I definitely get your backing of Chris, though. Even though I don’t necessarily think he’s done that great, he hooked a lot of people in right away and could continue this streak to the end. Meant to ask what your predictions were for the Top Five, beyond Chris winning! We are quite similar in our predictions. It comes down to Chris Rene. He is infectious and it has worked on many individuals. I thought last week’s performance was interesting. He is an intriguing artist, definitely. And, yes, I do believe if it went to deadlock Drew would have survived. 4 – Rachel. She is young, exciting, talented, but simply not as good as the others in the competition. It does come down to votes and yes, many people love her. Could she go further? Perhaps. I just don’t see it. 3 – Josh.This can go the other way with Melanie coming in 3rd and Josh in 2nd. I also find it so difficult to judge his fan base. Is he popular? I think so. He has carried himself as an experienced favorite. I just have a hunch that Melanie is getting stronger and her voice is wonderful. 2 – Melanie. So, while I have Chris winning this all, I think that the winner can be Josh, Melanie or Chris. That is the top three in my opinion. What happens then is anyone’s guess. It’s going to be fun, that’s for sure!